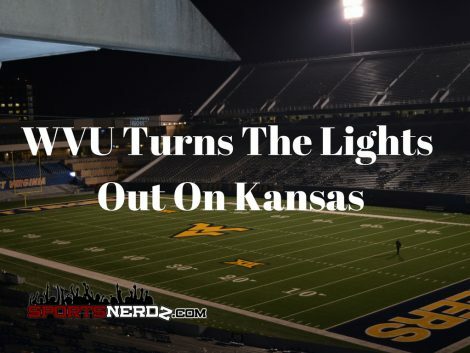 SportsNerdz.com interview with Wendell Smallwood who lead the Big 12 in rushing his last year with the WVU Mountaineers. 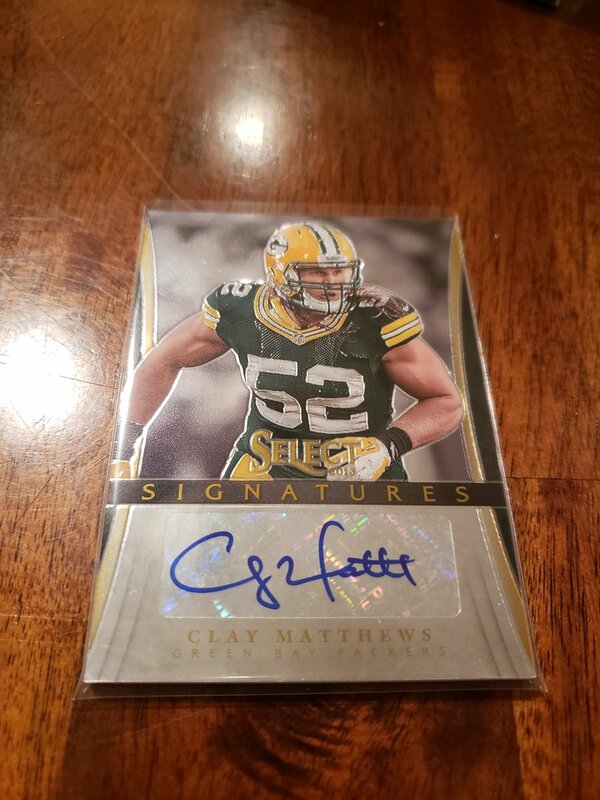 He also participated in the NFL Combine in hopes of being drafted in the NFL Draft. 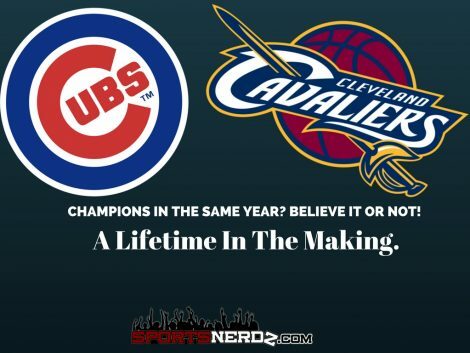 SportsNerdz.com interview with former WVU Mountaineer and Buffalo Bills great Darryl Talley. 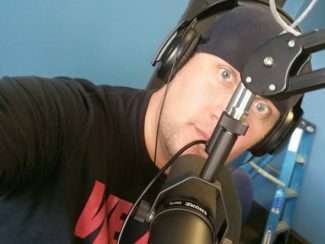 SportsNerdz.com interview with former Marshall power RB Devon "Rockhead" Johnson. 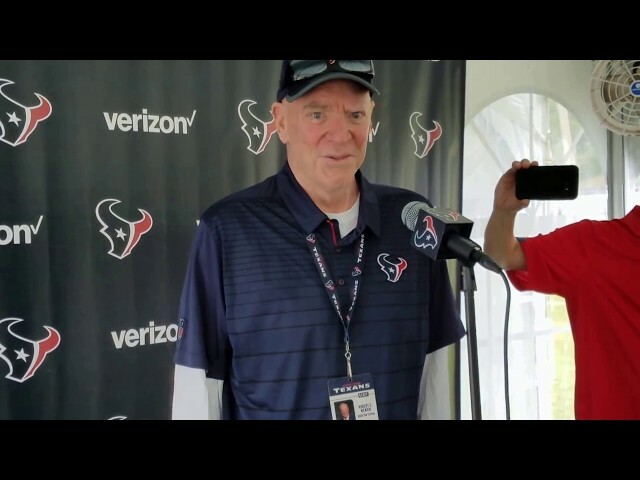 Johnson is invited to the NFL Scouting Combine and is projected to be chosen in the 7th RD of this years NFL Draft at the time of this interview. 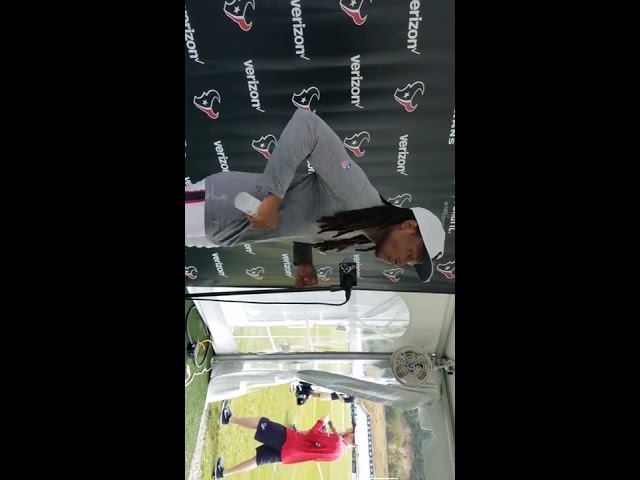 SportsNerdz.com interview with Steve Slaton who is a former WVU Mountaineer, Houston Texan, and Toronto Argonauts player joins us for some Q&A. 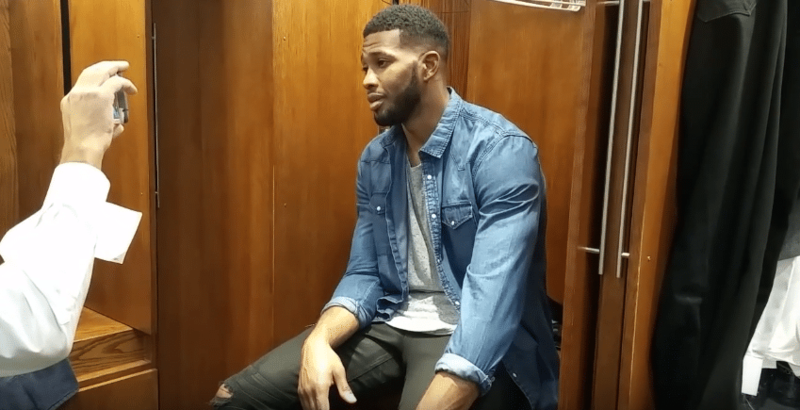 SportsNerdz.com interview with Pat White who is a former WVU Mountaineer, Miami Dolphin, and Edmonton Eskimo joined us for some Q&A. 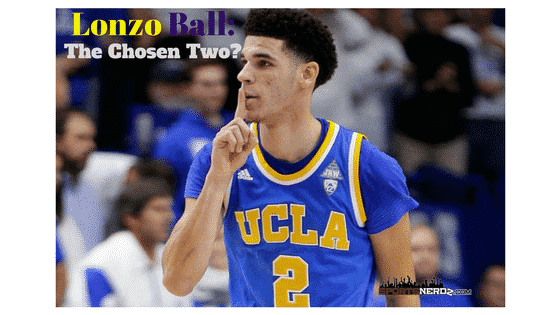 SportsNerdz.com interview with former WVU Basketball player and NBA draftee hopeful Juwan Staten. 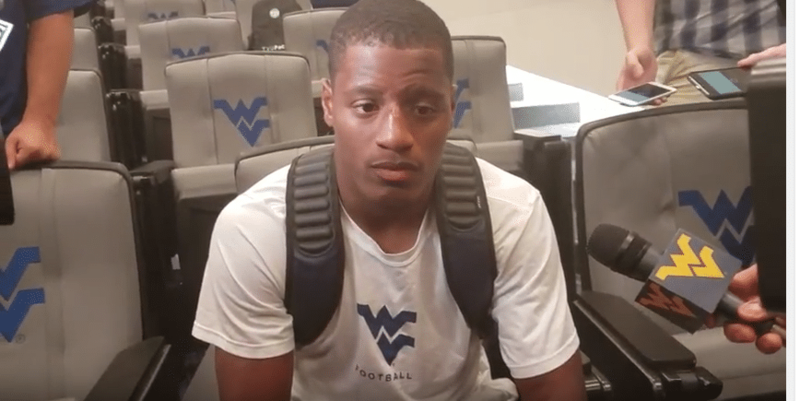 SportsNerdz.com interview with Mario Alford after is final year with WVU as he becomes a potential NFL draft pick. 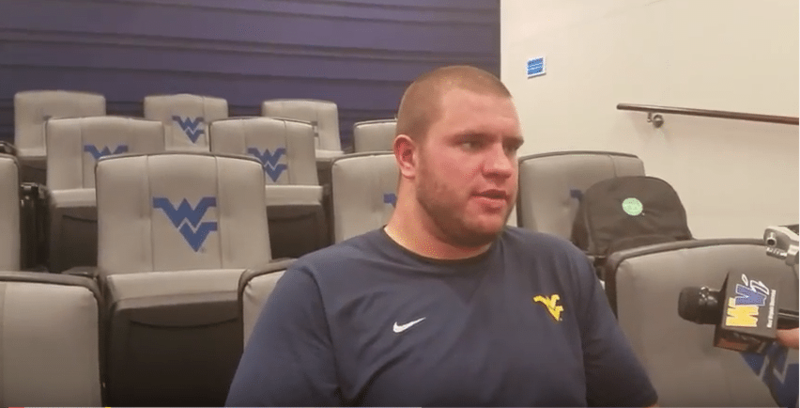 SportsNerdz.com interview with Mark Glowinski after his final year as an OL with WVU and potential NFL draft pick. 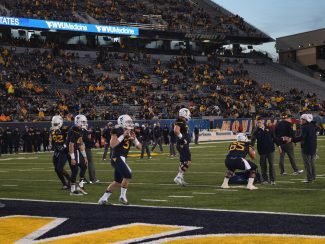 SportsNerdz.com interview with Clint Trickett after his final year as the WVU QB. 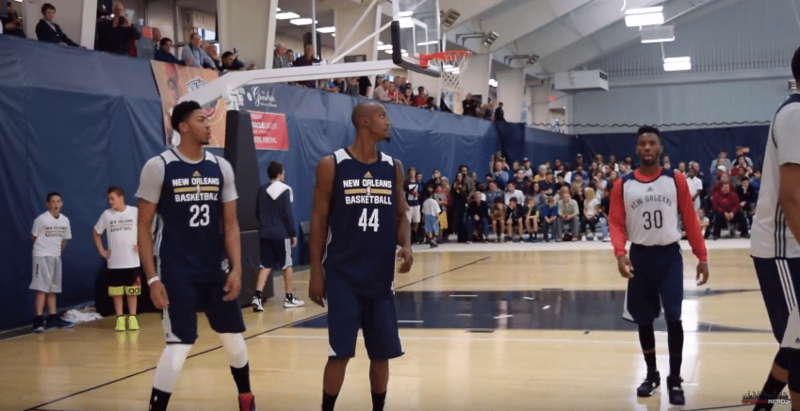 Sportsnerdz.com had the privilege to cover the New Orleans Pelicans training camp at the beautiful Greenbrier Resort in West Virginia. 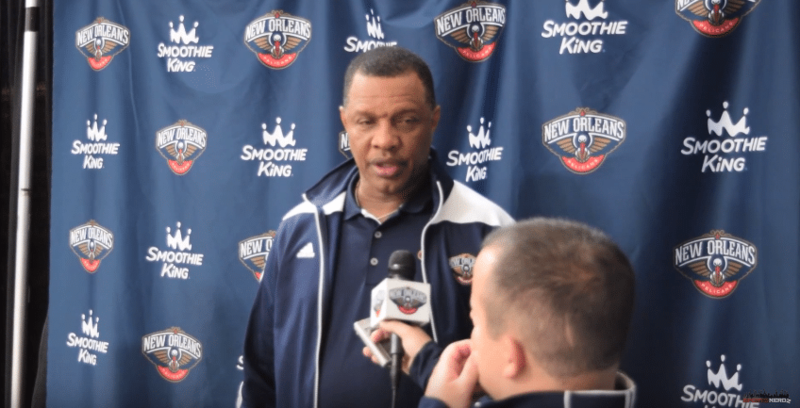 Alvin Gentry talking to the press at the New Orleans Pelicans training camp at the beautiful Greenbrier Resort in WV. 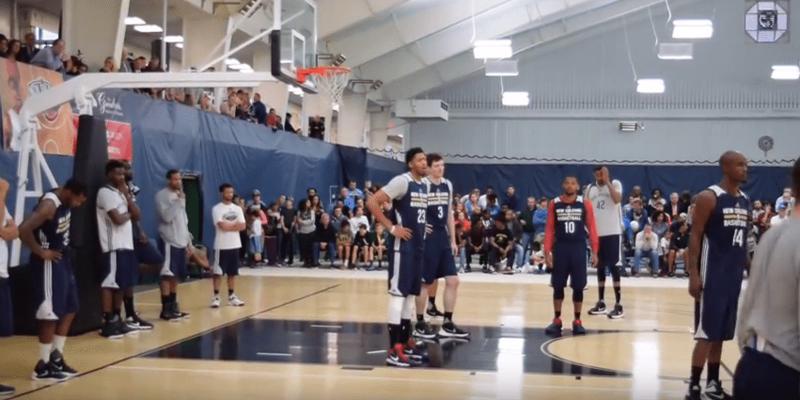 The New Orleans Pelicans warming up before their scrimmage at the Greenbrier Resort in WV. 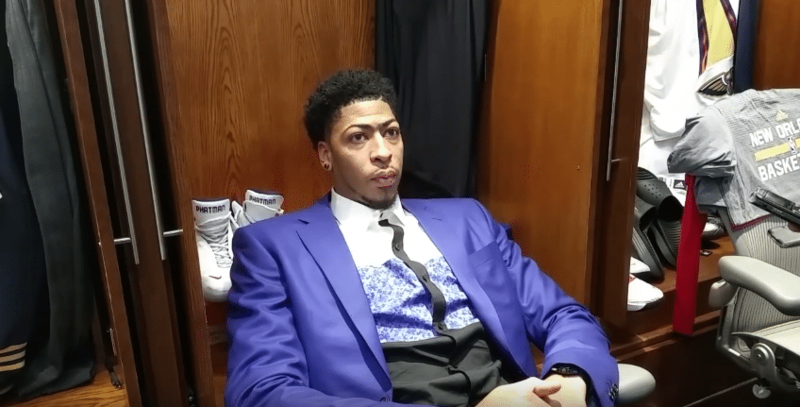 Ryan Anderson (New Orleans Pelicans) post game interview after losing to the Warriors 134-120. 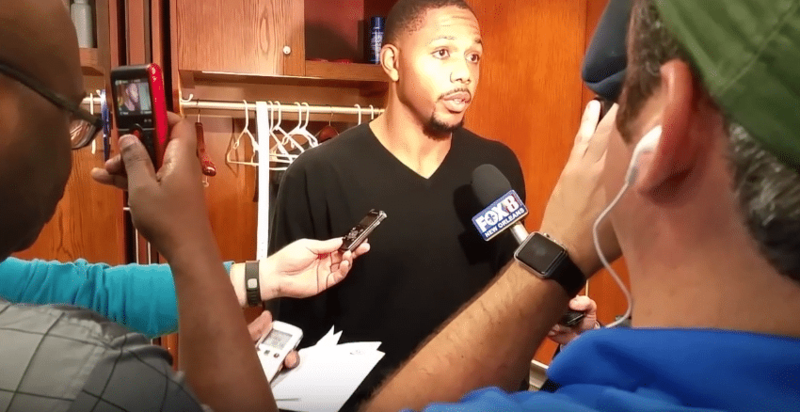 Eric Gordon of the New Orleans Pelicans gives a post game interview after losing to the Warriors 134-120. 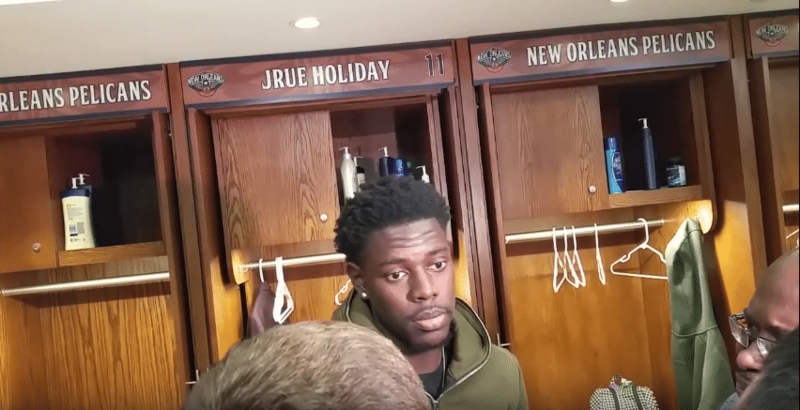 Jrue Holiday of the New Orleans Pelicans gives a post game interview after losing to the Warriors 134-120. 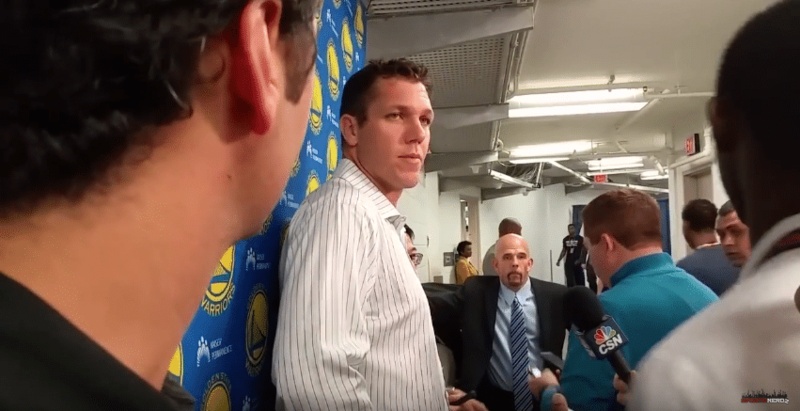 Luke Walton of the Golden State Warriors gives a pre-game interview before facing the New Orleans Pelicans. 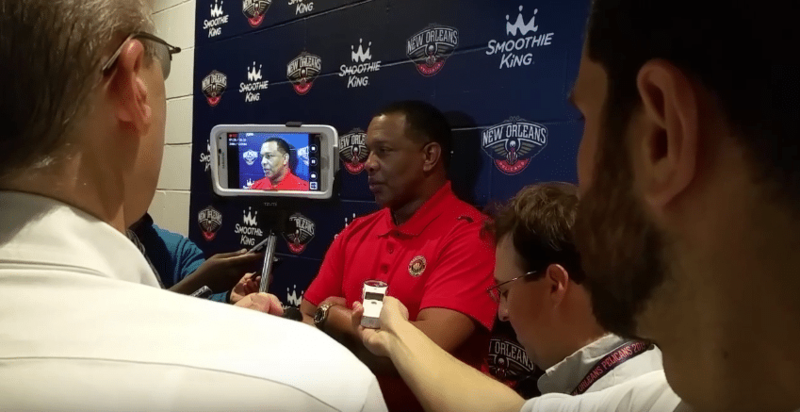 Alvin Gentry of the New Orleans Pelicans gives a pre-game interview before facing the Warriors. 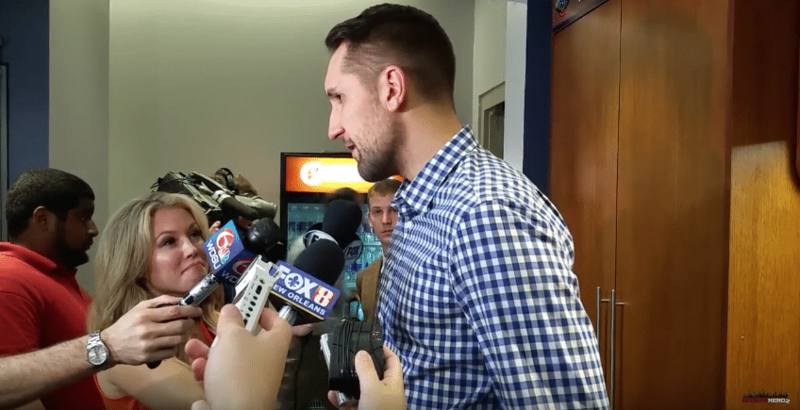 Drew Brees speaks to the media after record performance against the Giants. 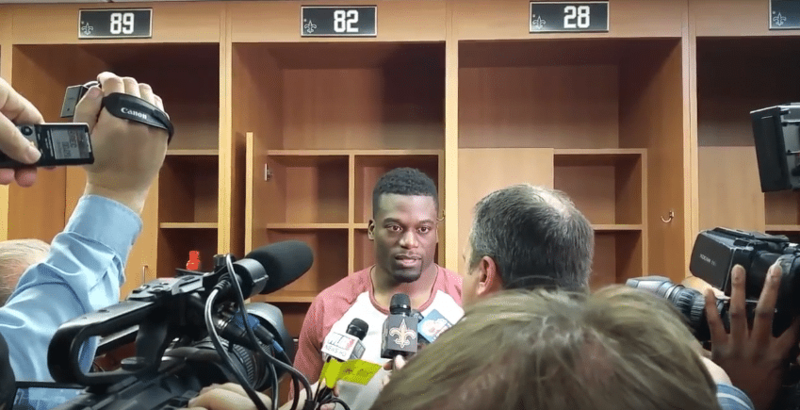 Ben Watson speaks to the media after great game against the Giants. 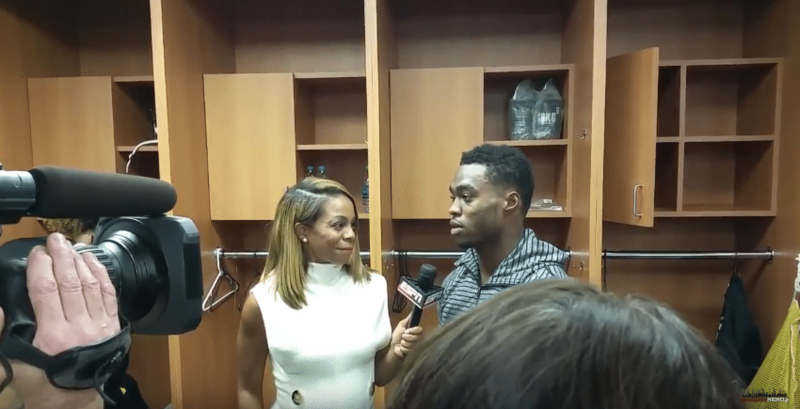 Brandin Cooks Speaking to the media after a big game against the Giants. 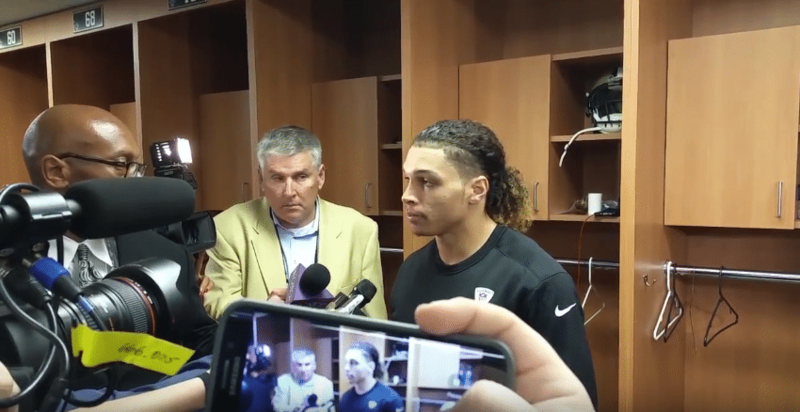 Willie Snead speaking after a big win against the Giants. 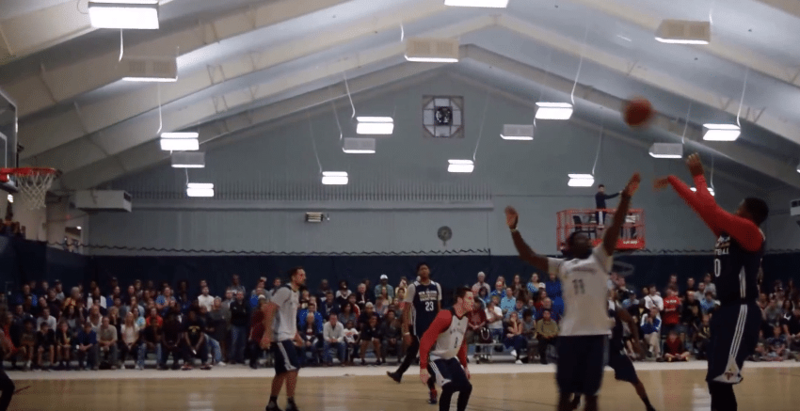 Drew Brees throwing his record tying 7th TD pass. 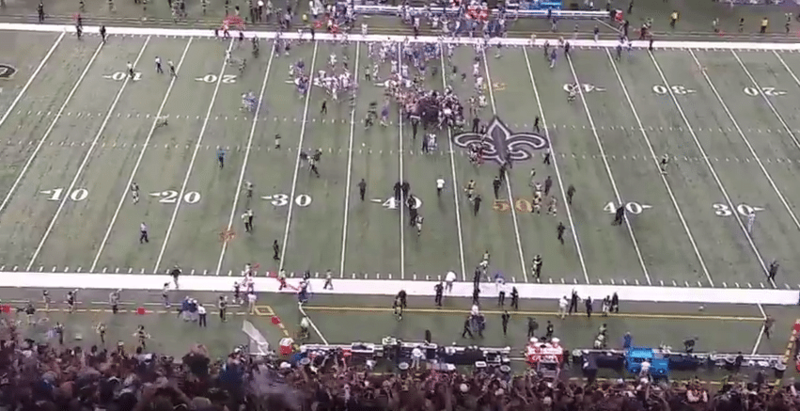 Press box view of the crazy Saints vs Giants game field goal that ended 52-49. 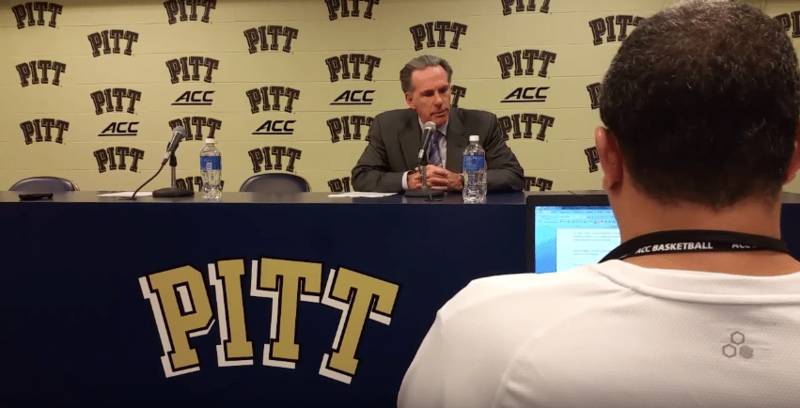 Pitt Head Coach Jamie Dixon Press Conference after beating Maryland Eastern Shore Jan 2 2016. 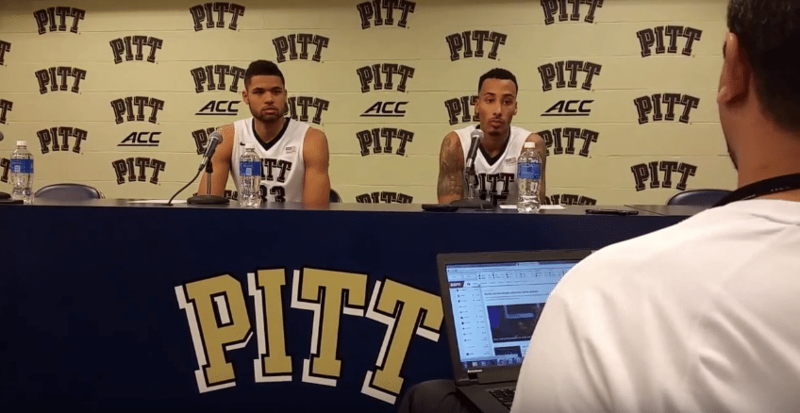 Pitt players Sterling Smith and Alonzo Nelson Ododa speak during a press conference after a win over Maryland Eastern Shore 92-58. 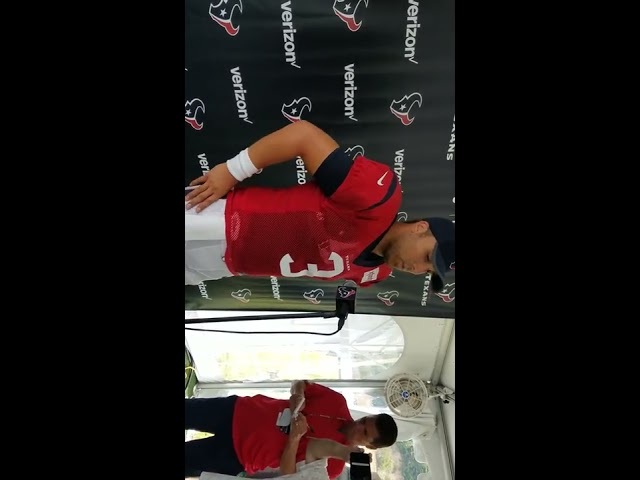 Justin Arndt post-game interview after Youngstown St victory. 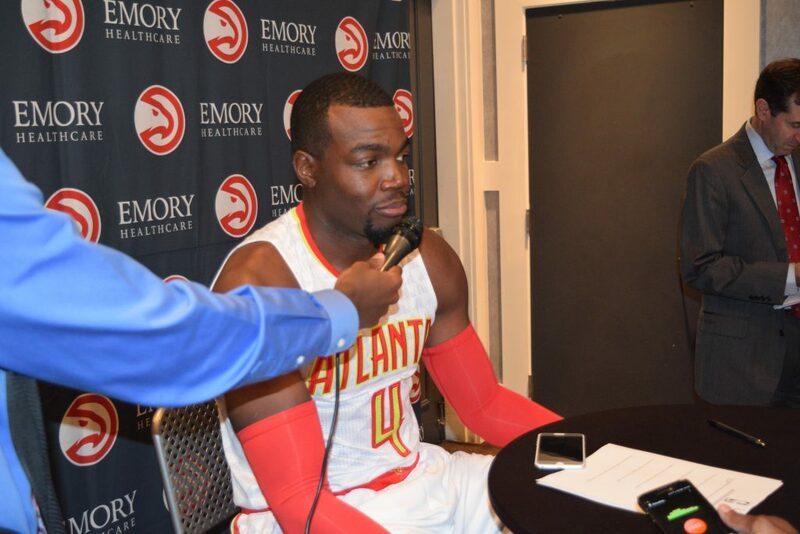 Rasual Douglas post-game interview after Youngstown St victory. 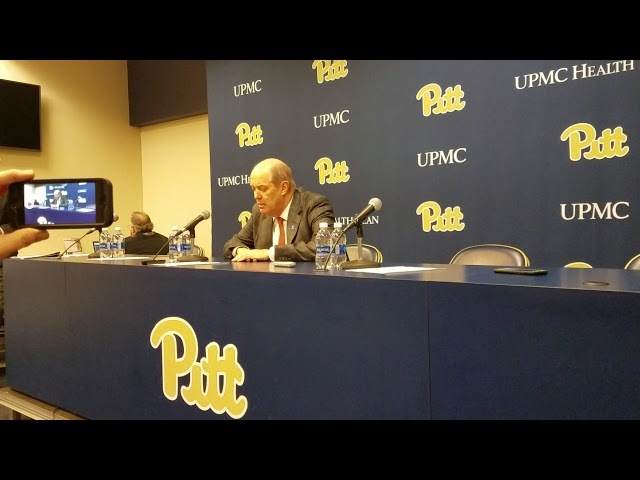 Rushel Shell post-game interview after Youngstown St. victory. 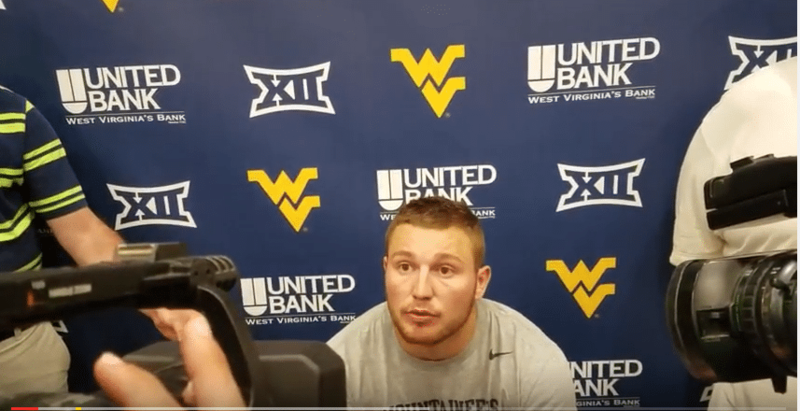 Tyler Orlosky post-game interview after Youngstown St victory. 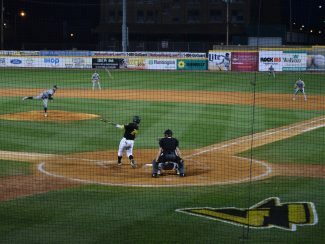 Jeremy Tyler Post-game Interview After Youngstown St Victory. 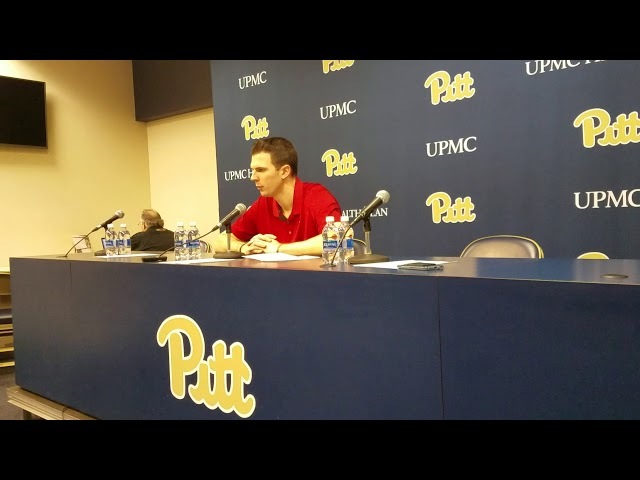 Jeremy Tyler post-game interview after Youngstown St.victory. 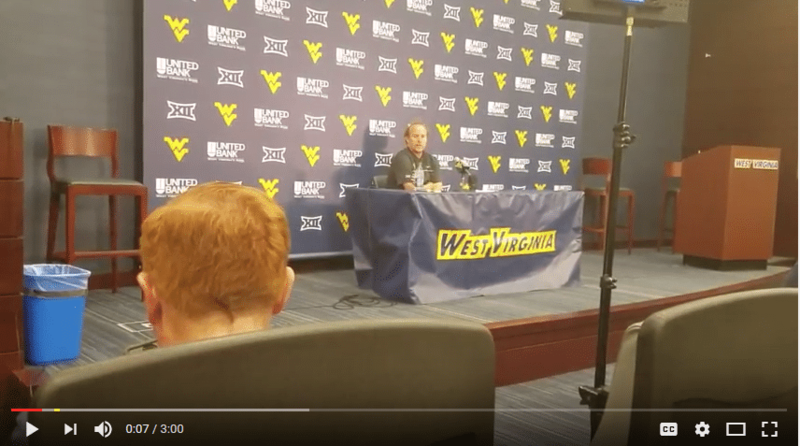 Skyler Howard Post-game Interview After Youngstown St.Victory. 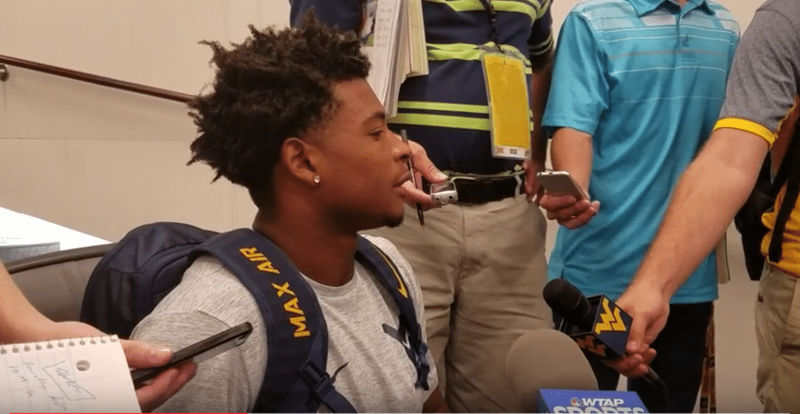 Daikiel Shorts Jr. post-game interview after Youngstown St.victory. 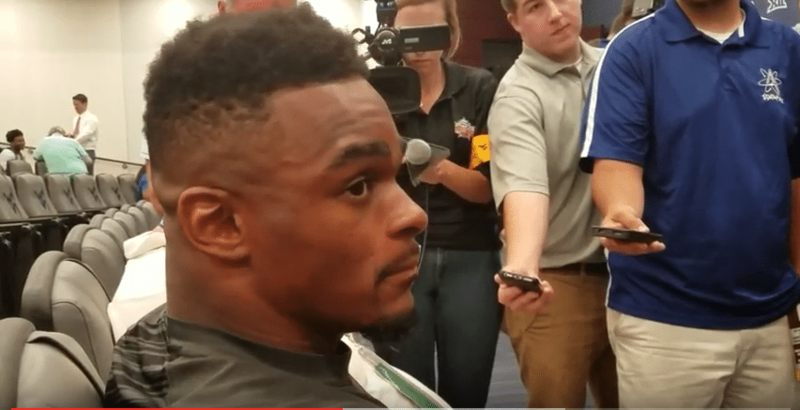 Shelton Gibson post-game interview after Youngstown St.victory. 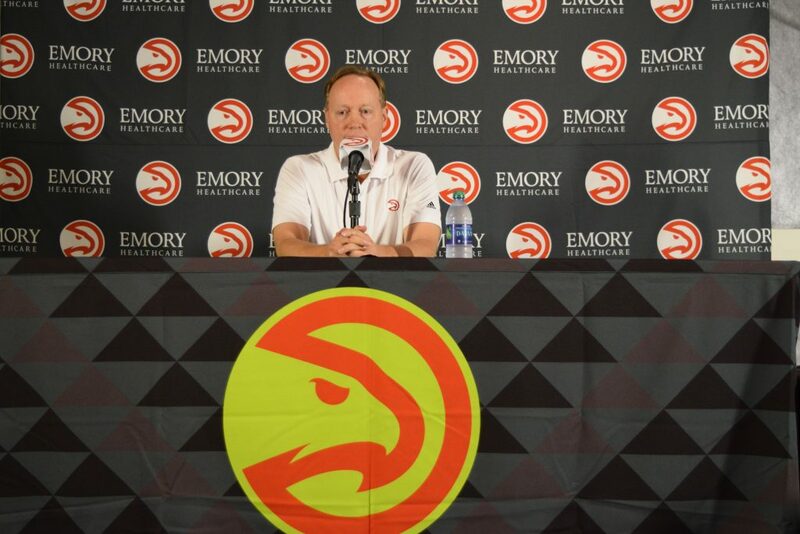 Mike Budenholzer addresses the media before the start of Atlanta Hawks Media Day. 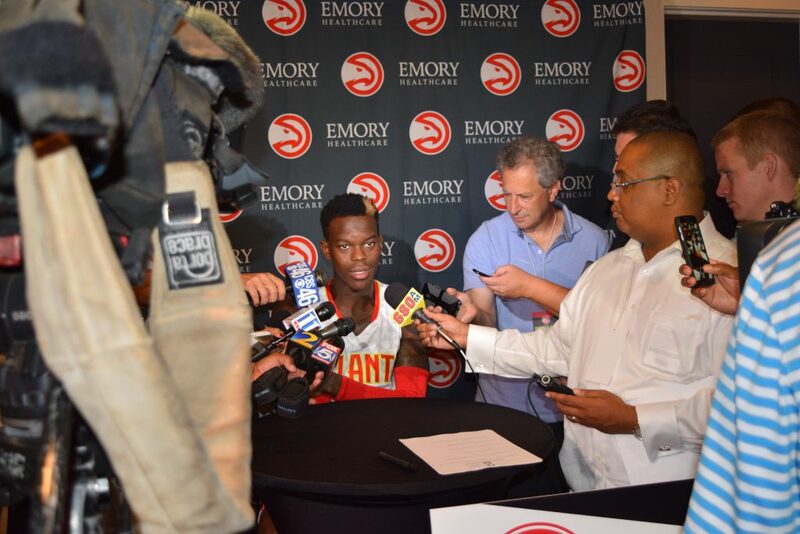 Dennis Schroder speaks to the media during Atlanta Hawks Media Day. 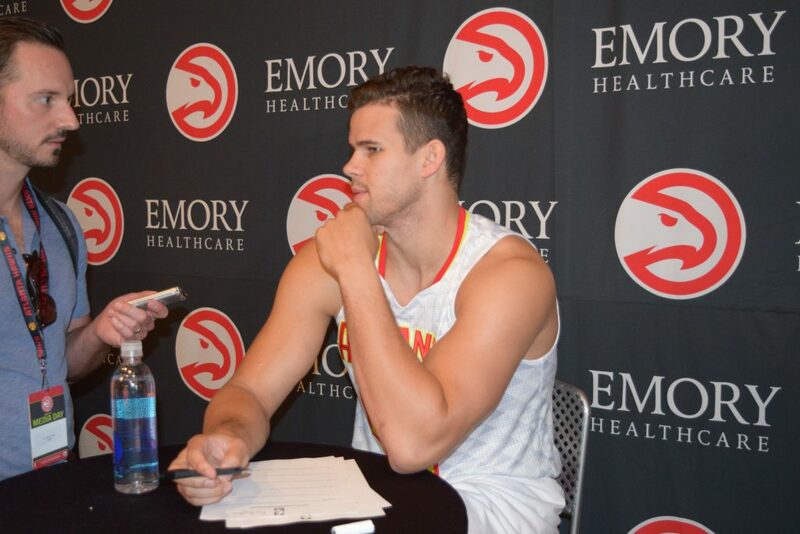 Kris Humphries speaks to the media during Atlanta Hawks Media Day. 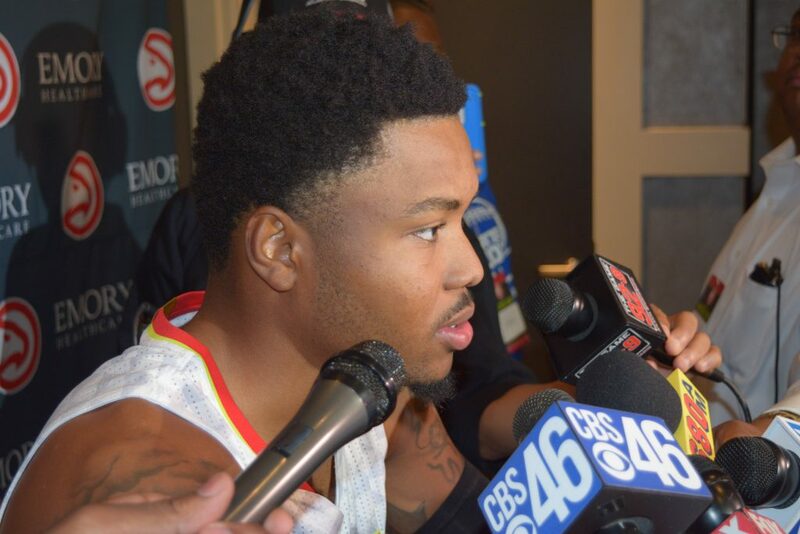 Kent Bazemore speaks to the media during Atlanta Hawks Media Day. 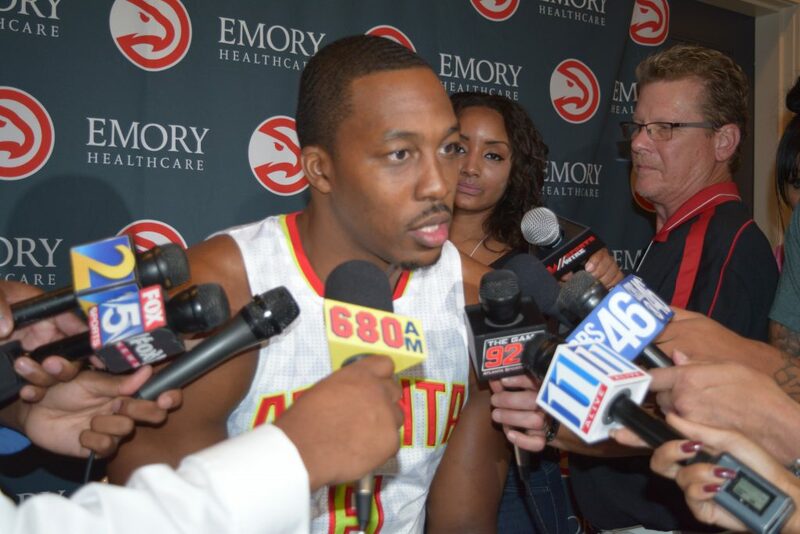 Dwight Howard speaks to the media during Atlanta Hawks Media Day. 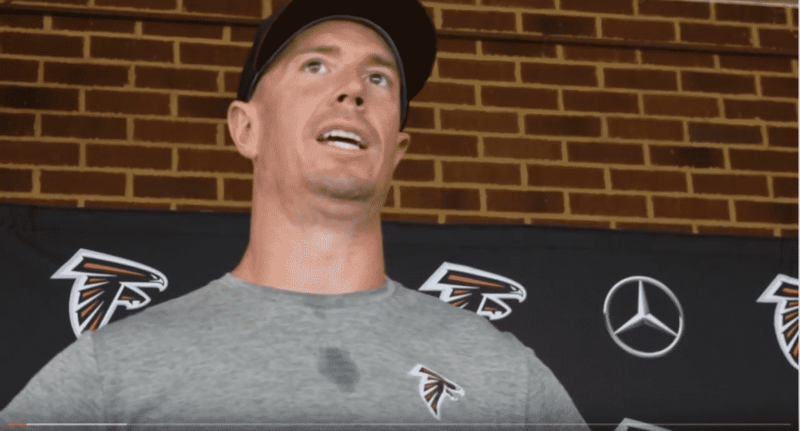 Matt Ryan speaks to the media at Atlanta Falcons Training Camp 2018 Day 7. 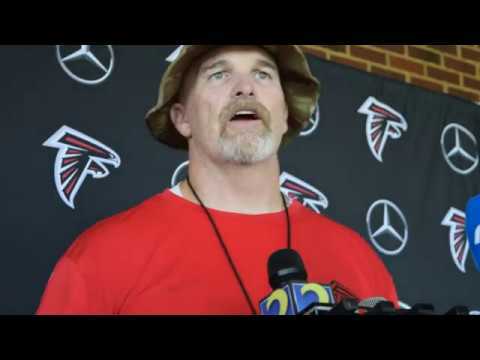 Falcons Head Coach Dan Quinn addresses the media at Atlanta Falcons Training Camp during Military Appreciation Day. 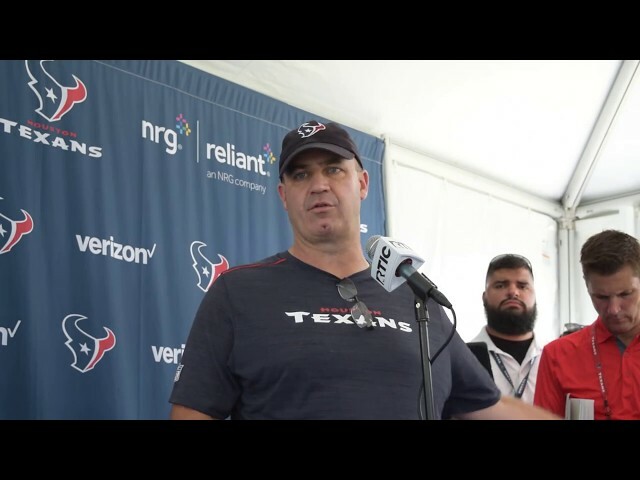 Bill O'Brien speaking to the media at Houston Texans Training Camp at the Greenbrier. 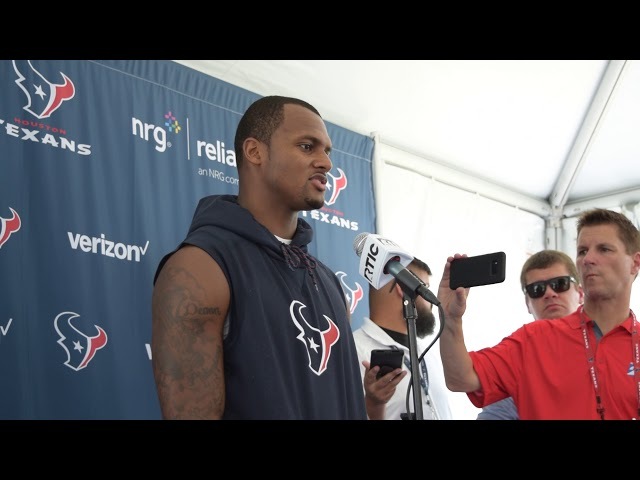 Deshaun Watson speaking to the media at Houston Texans Training Camp at the Greenbrier Resort. 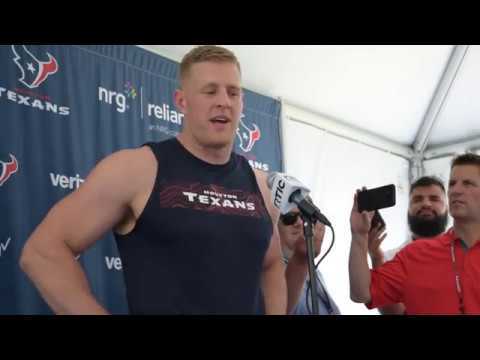 JJ Watt speaking to the media during Houston Texans Training Camp at the Greenbrier Resort. 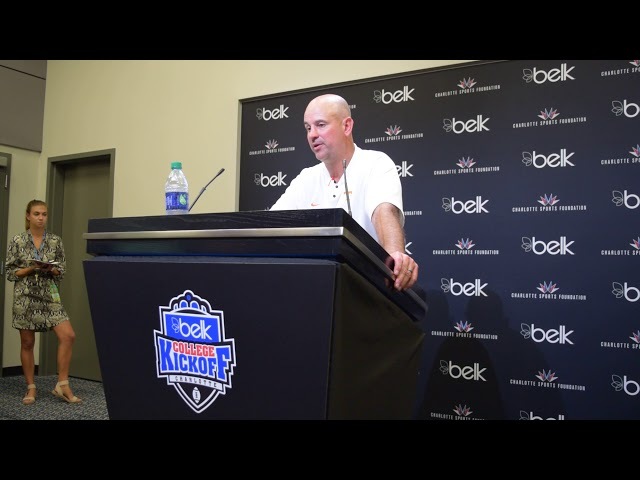 Tennessee head football coach Jeremy Pruitt discusses the loss against WVU At Bank Of America Stadium on 9/1/2018. 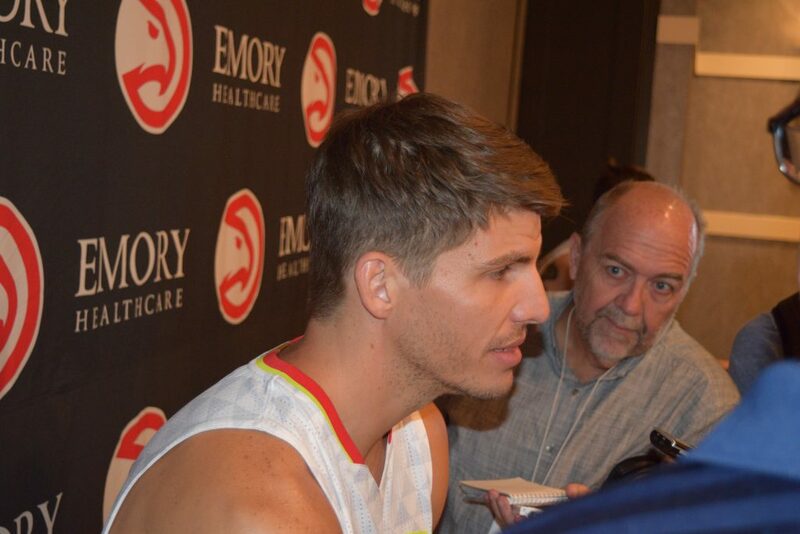 His first game as Head Coach. 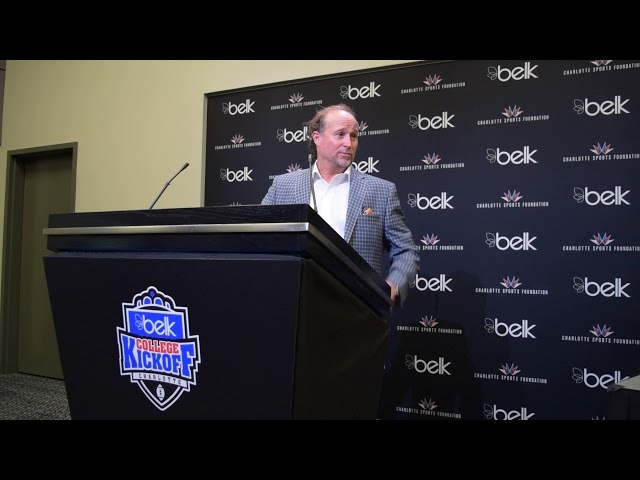 Dana Holgorsen talks to the media after beating Tennessee to open the 2018 campaign. 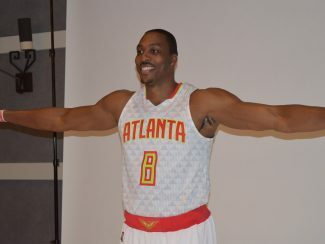 He also gets a little fiesty do to a ruckus in the room. 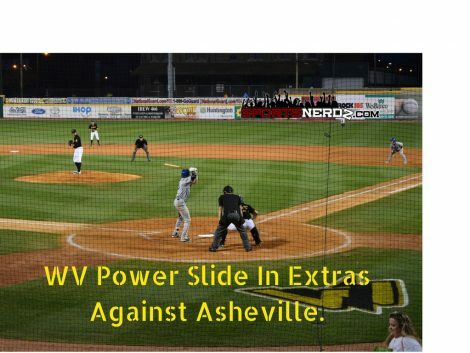 Really fun sports site that does interactive NFL pickems contest, March Madness brackets, and other cool stuff on nationwide topics with a hometown focus on local sports in WV. 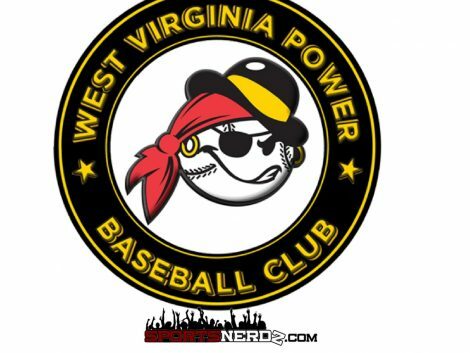 I like that SportsNerdz supports local West Virginia sports with their videos, interviews, articles, and drawing attention to local programs.